A “life estate” is a form of ownership in which an individual (the "life tenant") holds an interest in property for the duration of his or her life, but the interest transfers automatically to someone else (such as children or a spouse) upon the individual's death. A person who takes the interest upon the individual's death is known as a "remainderman." There are various advantages and disadvantages to holding a life estate. At Pulgini & Norton, our Boston real estate lawyers can advise you on whether a life estate may be the right form of ownership for you. Life estates are created when an individual conveys property by deed to the remainderman while maintaining a life interest for the individual or grantor. The remainderman's interest or ownership of the property only takes effect upon the life tenant's death. There are a number of benefits to creating a life estate. For example, it allows the life tenant certain rights that would not be possible if the house were simply transferred without retaining a life estate. Another is that, since the transfer occurs automatically upon death, the home does not need to go through probate, which is both time-consuming and expensive. Retaining a life estate also allows you to protect your home from MassHealth or Medicaid liens in the event that you need long-term care. Ordinarily when an individual receives Medicaid benefits, the Commonwealth places a lien against the home so that the state can recover these benefits when the recipient dies, or the home is sold. However, if the recipient has created a life estate more than five years before applying for Medicaid, the lien will be extinguished upon his or her death. The most suitable candidates to create life estates are those who do not plan to sell their home but want to live in it for the remainder of their years. It is often a good choice for parents who want to protect the value of the home for their children, especially in the event of illness. However, wealthier people whose taxes may be affected by a life estate may want to consider other options, such as a trust. Also worth considering is what happens when the property becomes subject to the remainderman's creditors. While the creditors cannot force the life tenant off the property, they can place a lien on it. During a life tenant's lifetime, he or she maintains the use and possession of the piece of property. The life tenant has the legal right to stay in the house for a lifetime or as long as he or she wants. He or she can rent the property or otherwise profit from it, and he or she must also make any payments for maintenance, including taxes and repair bills. However, the life tenant cannot sell or waste the property without the remainderman's permission. Whether or not you create a life estate in your home can have substantial consequences for you and your children. It is important to understand the benefits and weigh any disadvantages before creating a life estate. 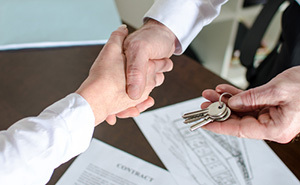 At Pulgini & Norton, our real estate attorneys advise Boston residents on home purchases and sales. We also represent individuals in Newton, Andover, Weymouth, and other cities in Massachusetts. Call us at 781-843-2200 or contact us via our online form for a free consultation.